Your spine is comprised of much more than just bones, which are known as vertebrae. It also has softer structures called intervertebral discs. One disc separates each vertebra from the next one. The primary functions of the spinal discs are to absorb shock and support proper movement of the spine. When your discs are healthy, you probably won’t give them a second thought. 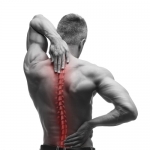 But when debilitating herniated disc symptomsoccur, you’ll probably be preoccupied by anticipation of your upcoming appointment with a herniated disc surgeon in Miami. A herniated disc occurs when the inner part of the disc leaks out. This inner material is called the annulus pulposus, and the shell-like exterior is the annulus fibrosus. Discs that are weakened by general wear and tear over time are more susceptible to developing cracks in the annulus fibrosus. A tear in the exterior can allow the inner material to push outward. Herniated discs can compress the nerves of the spine, causing symptoms like numbness, weakness, tingling, and pain that radiates along the limbs.